There is free parking located all around the building. 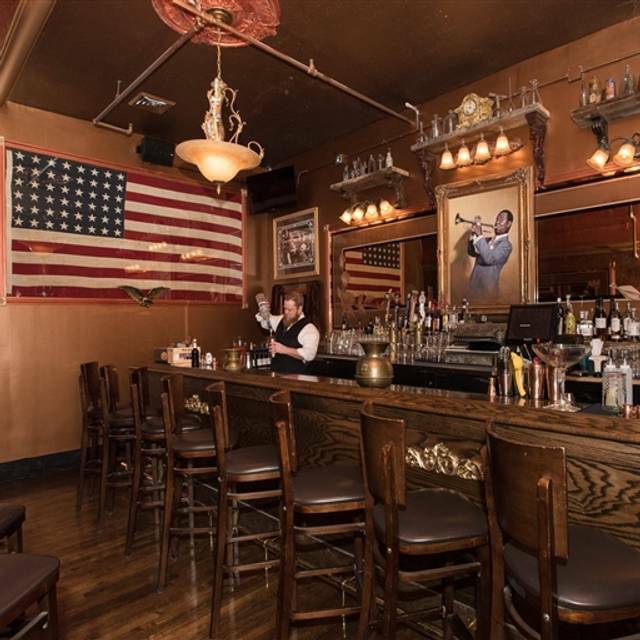 A 1920s style speakeasy restaurant --offering hand crafted whiskey, gin and bourbon cocktails, specialty beers and wine...with salmon, steak, flatbreads, charcuterie boards, Italian favorites, all served by flapper girls and newsies! In this historic Arcada Theatre in downtown St. Charles! What a unique place! 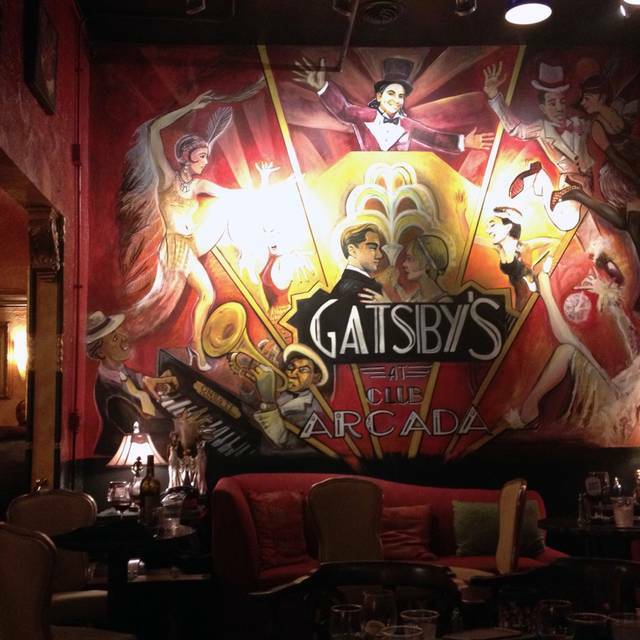 Beautiful and enchanting decor and atmosphere, re: The Great Gatsby. I ordered a delicious small plate sandwich trio. Friends had small plate Bratwurst with grilled onion sandwich and others had flatbread pizza. Everything fresh and delicious, but not really for big appetites. A few small desserts on the menu if you are still hungry. Our server was very efficient but not a smile offered to us. Doesn't matter, I will definitely go back when I can! 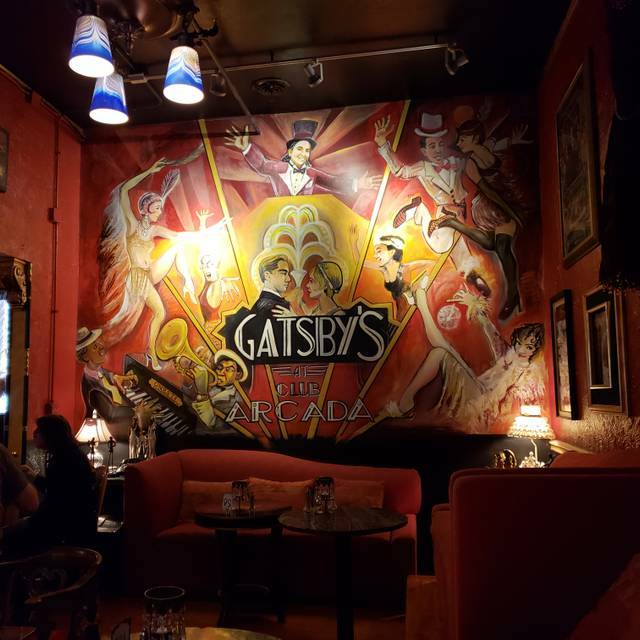 Fun 1920s atmosphere including servers dressed the part Great food and service. Completely different than most places around these days. Only downfall not much psrking. A bit loud. Very limited menu. Service was terrific. Food and service outstanding. Perfect way to start an excellent concert. 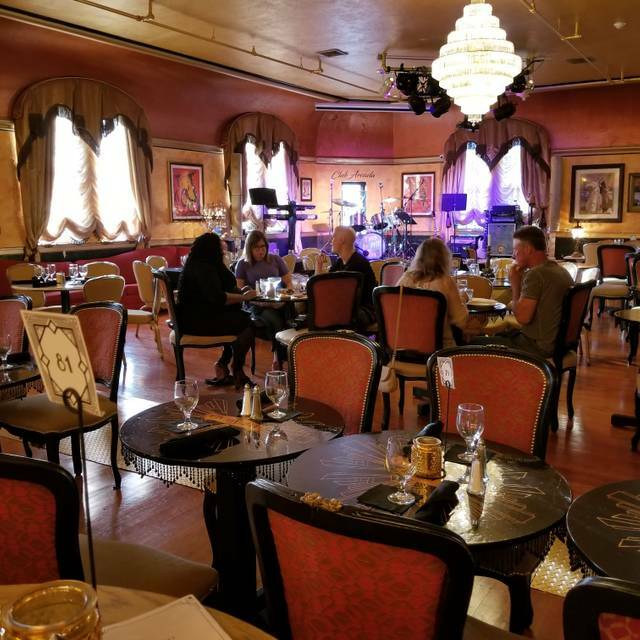 One of the coolest places to have dinner before a show at The Arcada. 6 ounces and I could have had 2 more! This venue is a great time and a good value. Very cool to dine then go right down the elevator for a show. Amazing!! I will be going back! So much fun! So much ghostly history, great food and awesome staff! This is my third time at the Speakeasy, second time for Sinatra Sunday with Vince. So much fun! We enjoyed the beautiful 20's atmosphere and decor, fabulous crooning from Vince (what a voice! ), abundanza Italian food, friendly service, and even the other guests were fun. Will be back with more family members next time. Such a great experience for my 85 year old Dad. Thank you! What a gem of a place! This is the coolest nightclub I've ever seen. It felt like I stepped back in time and was on some movie set come to life. The food ill.admit was pricey but was very tasty. There was entertainment there...Everett Dean and the Lonesome Hearts. This was a fantastic band and show. I'd expect to see a show like this in Las Vegas It made me laugh and get up and dance. My whole party of 6 had a memorable and fun time. The staff treated us well and the drinks were mixed perfectly. Highly recommended! My sister and I were first time goers. It was great greeting coming in and fun from the get go. We had wonderful service/ food was superior with less concentration on carbs with lots of roasted vegetables with my steak and fantastic mixed drink. The Everett Dean show was unbelievable energy with dancing unexpected and a crowd that didn't mind my enthusiasm with my screaming and singing along. Barbie and I love Club Arcada, especially the entertainment with Everette Dean and the Lonesome Hearts. We also love seeing Rick Lindy and the Wild Ones at Club Arcada. The food is also A+. Really a fun place with excellent food and fast, friendly service. Beautiful setting. 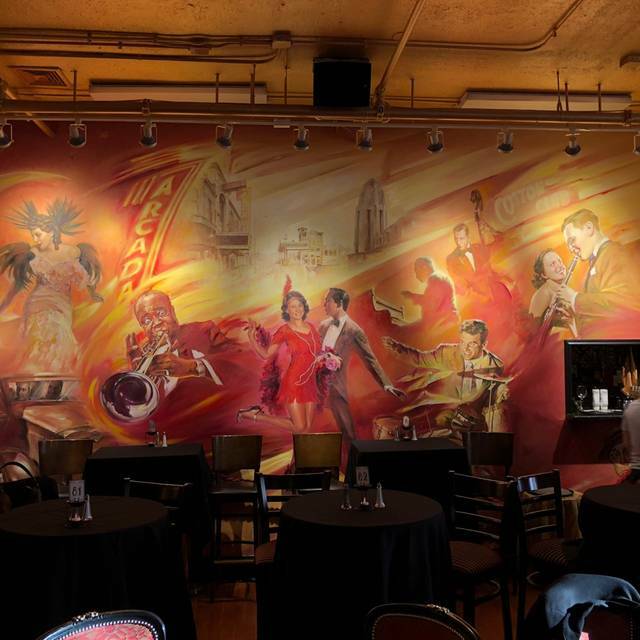 We had a great time at Club Arcada Speakeasy. It was my second time here and my girlfriend's first, we were there to celebrate her birthday. The food was great both times I visited and the drinks were good too. The band was ok on this visit, my last visit was on a Wednesday for magic night and the entertainment was great. Fun place to have a drink before the show.. Fun atmosphere. Small food menu but nice little snacks to have with your drink. Fun date night! Lots of history, waiters and waitresses dressed in era clothing, great food! We’ll be back! A fun, family-friendly atmosphere on Wednesday nights with a free magic show. We enjoyed our food, but maybe consider adding a few kid-friendly items at least on Wednesdays to appeal to more families. We always enjoy our visits to Club Arcada. The entertainment is outstanding, the ambience is superb and the food is always good. We look forward to our next visit! Flat Cats Band was Outstanding! 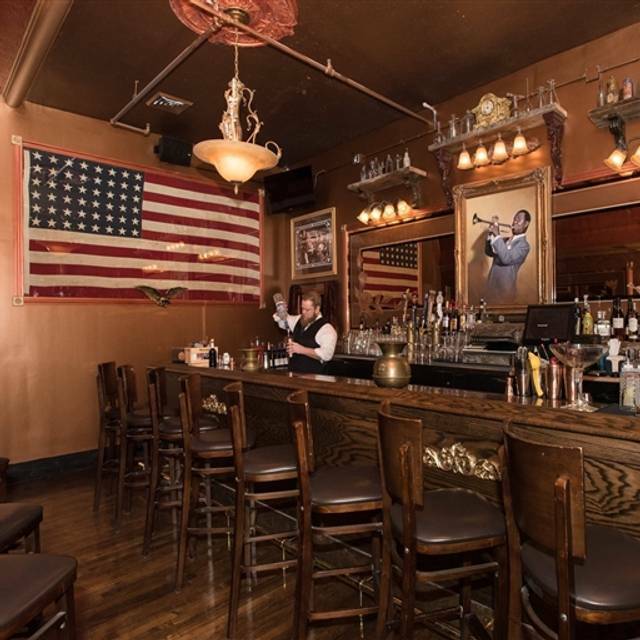 Great music, great ambiance, wait staff was great. But.... They served us our drinks in plastic cups. I said something and they said they ran out of clean glasses, apologized and brought us glasses. I shouldn't have to ask for glasses when I spend over 100 bucks for a dinner. Aside from that. Amazing. We saw the Flat Cats that night. Great band. First time here. Such a cool atmosphere. Great service by Jackson really limited menu but food was good and so were the drinks. We didn’t stay for the band but will next time. Something fun and different. And tasty!! What a treasure! 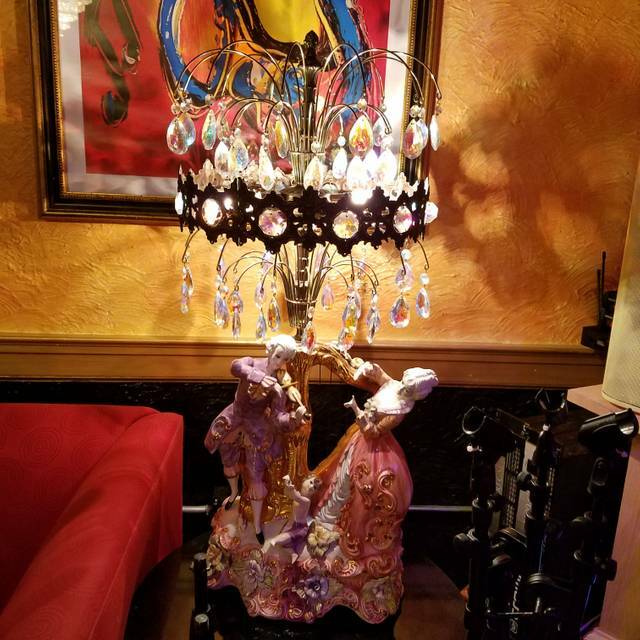 Fantastic ambiance, great service, short but delectable menu, and excellent spirits menu. We are already planning return trips with family and friends. Great place, I was never asked the password which was kind of a bummer. parking was easy, venue was super cool, but VERY loud. had a hard time talking at our table, not sure how this can be fixed. The band was AWESOME! Food and drinks were very good. The waiter did NOT visit our table much. We sat for about 15 min. before anyone came to take drink orders and just didn't see too many people at all from the wait staff. All and All I would say it was a fantastic time. I have already recommended it to others. Found this place by mere accident on the open table map! I am SO HAPPY I did! This place is amazing!! Fabulous drinks! The entertainment, Nick @ Knight, was absolutely awesome!! We ran into the owner in the elevator on our way down leaving, he gave us a tour of the concert hall and backstage!! Such an incredibly cool guy! We can’t wait to come back!! Great atmosphere! Food was fantastic! Want to go back! Great service, great food and drinks. We loved the beautiful atmosphere! Behind that bookshelf was a huge dining hall. The decor was just beautiful, loved the chandelier. The food was so good and drinks were delicious. It was fun and romantic for us! Later we went downstairs for a concert! Very cool place! Recommend going in the evening when the live music is playing. And some of the "2 person" tables are very small, so if you're planning to eat I would get a bigger table. But it's fine if just doing drinks. First time here and will definitely be back. Had so much fun. The wait staff was very attentive. I took my parents and nephew for the Sunday “Ron’s Dinner” and we all had a wonderful time. Three generations ... 80-ish parents, myself and my 17-year old nephew. We all enjoyed it. The food was great and definitely loved the ambience of Club Arcada. We had a great time here! I thought that, since it is so heavily themed, the food would only be OK. We were pleasantly surprised. My husband had the steak and reported that it was very tender. I had the salmon which was flavorful and not dried out. We really enjoyed the cocktails (they were strong!) Also, the setting is a lot of fun and the music was very enjoyable. We will be returning with another couple for a double date night. Came to the Speak easy for the first time on a Saturday night for drinks. We were both very impressed! 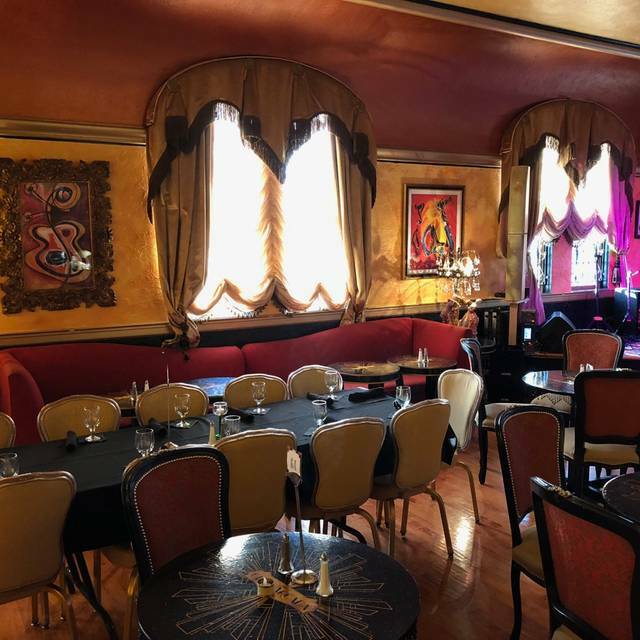 We had fun exploring the entire restaurant and sitting in each of the private rooms. We ended up staying late to watch the live band. A perfect date night ! We really liked the concept, decor and service; however, the food was disappointing. The brat was slightly better than the tomato basil flatbread. 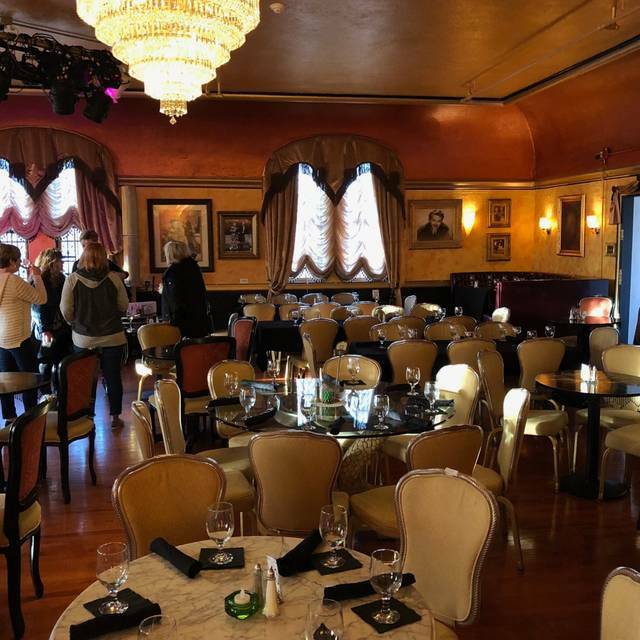 We recommend going for drinks before a show at the Arcada.